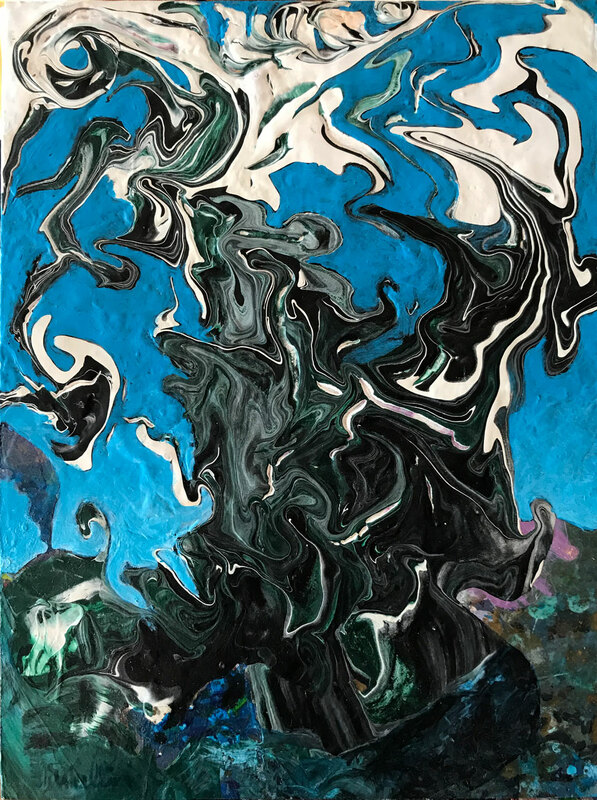 The Wildling Museum of Art and Nature in Solvang, in conjunction with the Abstract Artist Collective, is presenting a juried show titled Nature Abstracted. As its title says, the works are abstract presentations of nature. 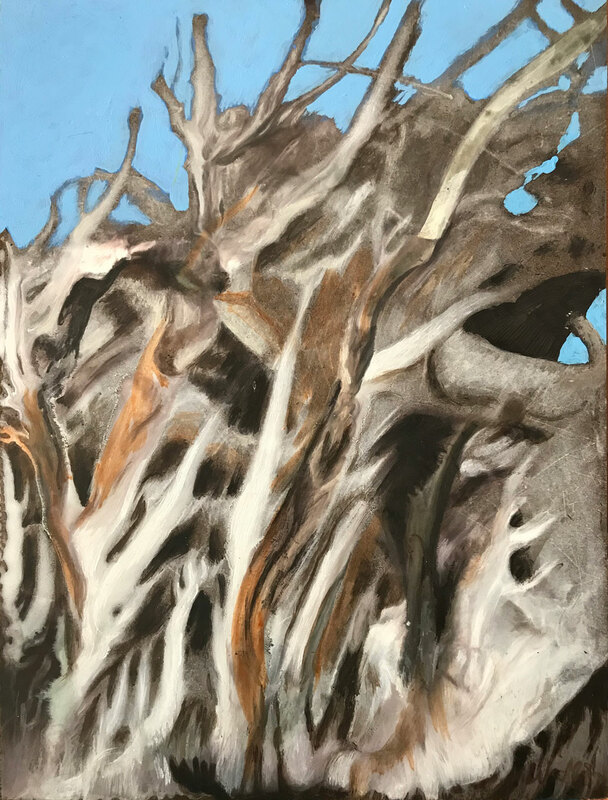 Nature Abstracted will be on display in the Barbara Goodall Education Center from October 3, 2018 - February 4, 2019. Ancient Tree Bones acrylic on Masonite Panel | 12" x 9" Around 10,000' above sea level, the elements overtake the trees. The vegetation that is hardy enough to venture more than a few inches above ground level takes on fantastical shapes. These are the oldest trees on earth, bristle cone pines, living in these harsh conditions; the entire landscape seems abstract, fertile territory for a wandering artist who imagined full grown trees from seemingly lifeless, wind-carved trunks. What a playground for brushes and paint. Juggle acrylic on Masonite Panel | 7" x 6" Under seas, under skies, playing with movements in imaginations of paint and life. This painting is a mixture of the accidental and the planned, the random and purposeful, the serendipitous and the, not really by chance. Started with an intentional slash and dash then crafted with care and abandonment. A small image to enjoy up close hopefully sparking one’s imagination and sense of fun. See what you can find, discover, uncover and create in your own mind.